With its in-mould labelling, W.AG has an innovative decoration process for the optical customisation of plastic suitcases in its portfolio. 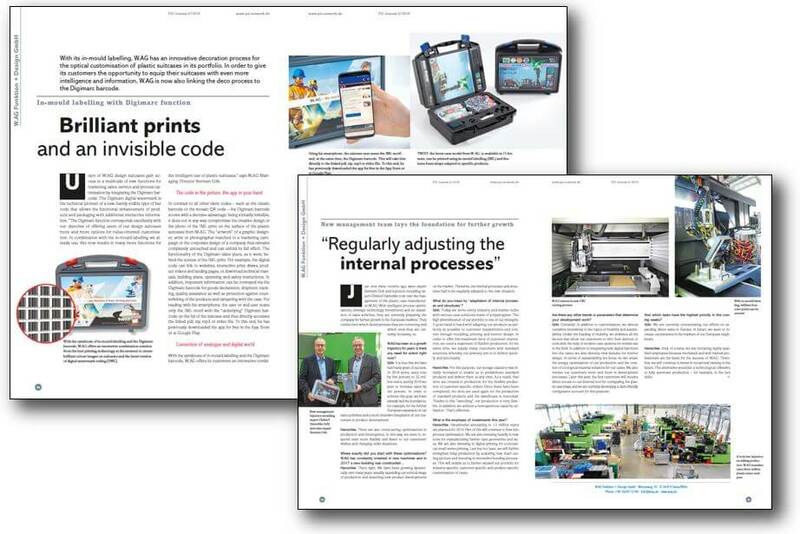 In order to give its customers the opportunity to equip their suitcases with even more intelligence and information, W.AG is now also linking the deco process to the Digimarc barcode. In November 2018 sales expert Bertram Göb and injection moulding expert Christof Hanschke took over the management of the plastic case manufacturer W.AG. With intelligent process optimisations, strategic technology investments and an expansion of sales activities, they are currently preparing the company for further growth in the European markets.